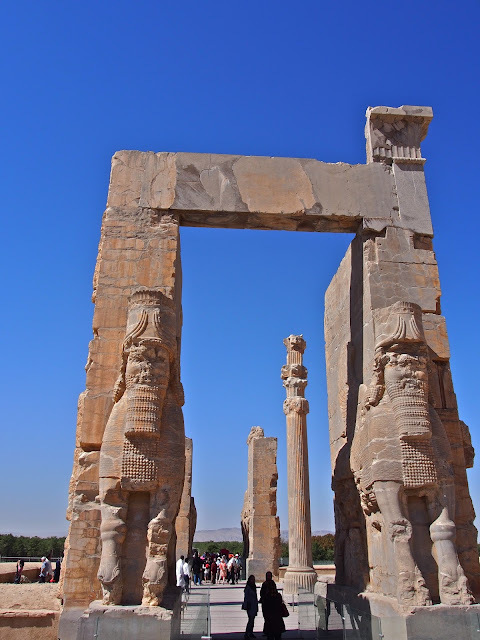 Iran (known until 1935 as Persia) is one of the longest continuous civilizations in the world, with settlements dating back to 4000 BC. With the rise and fall of empires and dynasties, invasions and revolutions, many of the artifacts of historical civilizations have been destroyed. But a surprising number remain and have been preserved. As an American, where most of our historical sites (or at least most of what's been preserved) are less than 300 years old, it was pretty humbling to walk through the ruins of Persepolis (515 BC), visit Zoroastrian fire temple of Yazd (burning continuously since 470 AD), and stroll the streets of the village of Abyaneh (~515 AD). 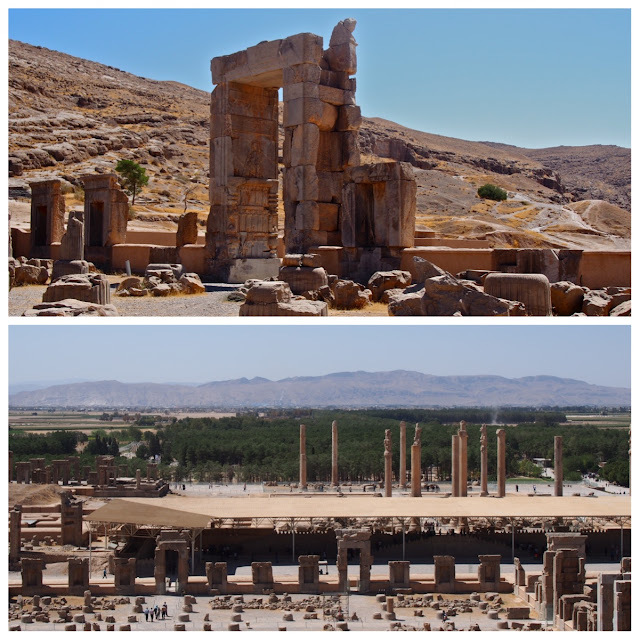 Persepolis was an ancient ceremonial capital, with ruins dating back to 515 BC. 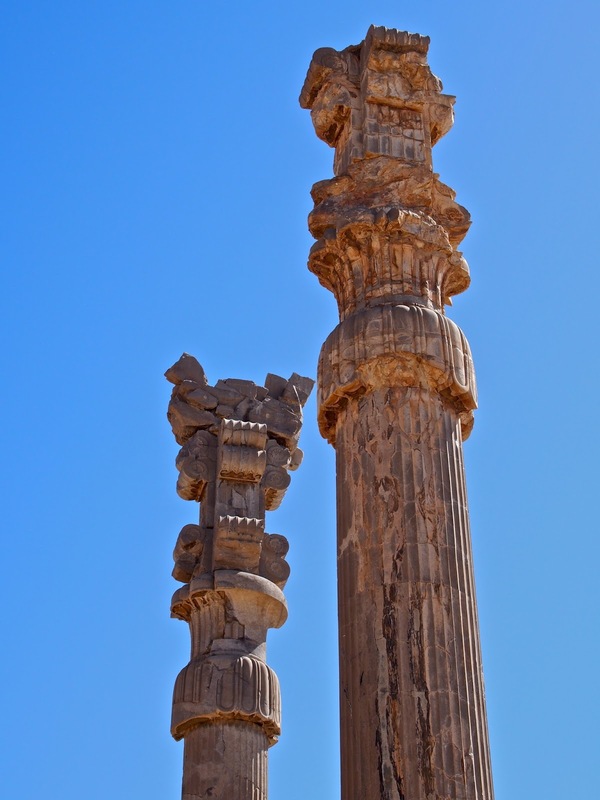 While many of the buildings were destroyed by Alexander the Great (our guide said "here we just call him Alexander. We didn't think he was so great.") , a landslide covered up some of the incredibly detailed bas-relief art work on the palace walls and preserved it for centuries until archaeologists began their excavations. Beautifully detailed bas relief depicting all the nations under the empire bringing gifts to the king. When polished, it is all the shiny black color seen in a few spots - but they leave the desert dust on there because it helps preserve it. 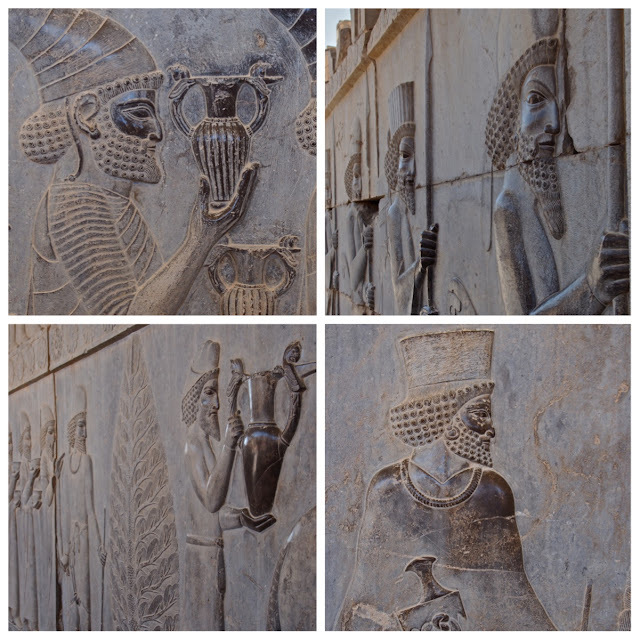 Carved into the side of a rock face near Persepolis are the tombs of four ancient Persian kings, dating back to 486 BC - Darius the Great, Xerxes I, Ataxerxes I and Darius II. The tombs have been empty since they were looted during the invasion by Alexander the Great. 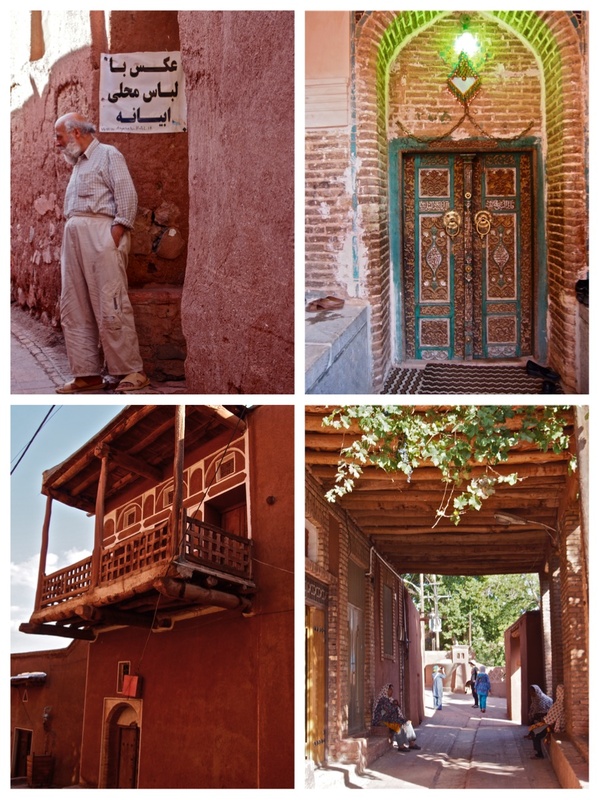 This mountain village is one of the oldest in Iran, dating to at least 515 AD. 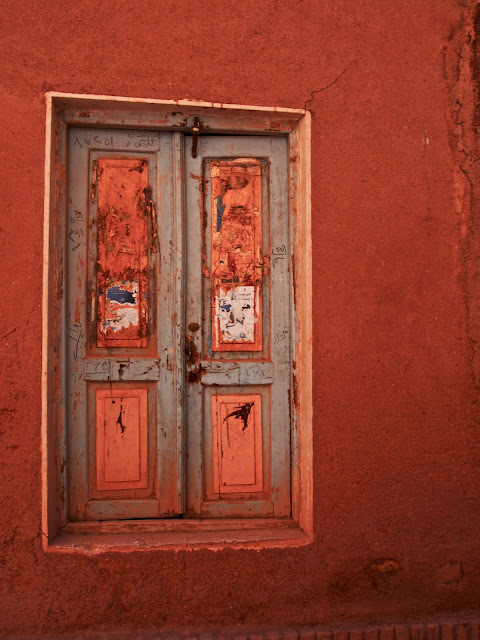 The buildings are all made of mud bricks, giving it a beautiful red-orange color. There are only about 200 inhabitants remaining in the village today, but they continue to preserve their culture: many still speak Middle Persian (which disappeared in most places between the 10th and 12th century) and they wear unique traditional clothing (wide-legged pants for the men, white flowered scarves for the women). 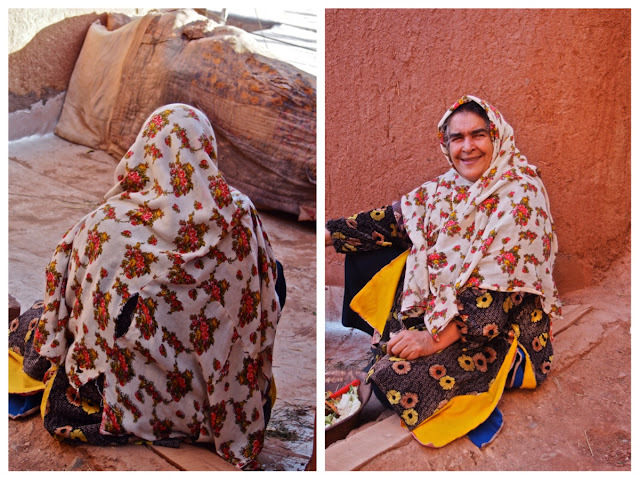 Today the village is mostly a tourist attraction and many parts feel abandoned, but strolling through the narrow lanes in the late afternoon, we still found some glimpses of traditional village life - women coming out of a town meeting in the mosque, clothes drying on the line, an elderly lady sitting on her stoop preparing vegetables for that night's dinner. It was a breath of fresh air (literally and figuratively) after two weeks of big cities and hot desert.